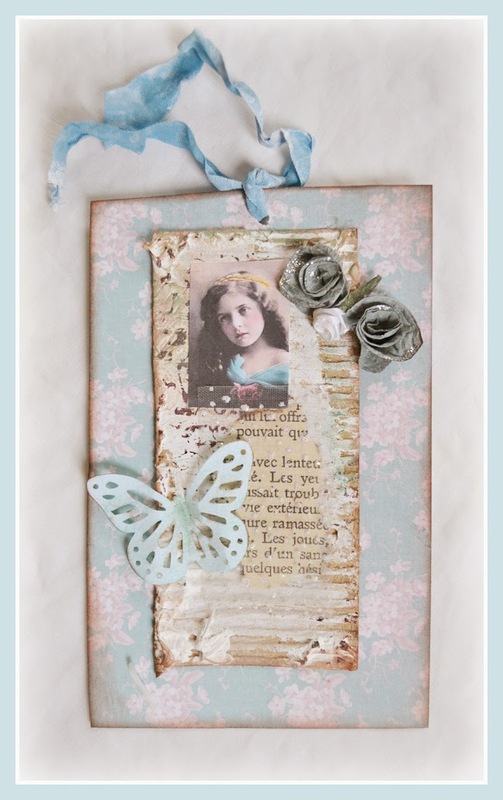 Hi Terri ....thank you for sharing your lovely gifts from Dorthe....they are so beautifully made. The bird and nest are fabulous as is the doll and card. Wonderful gifts for you to treasure. Beautiful treasures! These are all so gorgeous...ethereal..poetic and elegant...she is very talented! Magnificent!! Thank you dear Terri, for showing my gifts so lovely here, and thank you for your dear words about me. I treasure our friendship very much. and a HAPPY EASTER to you and your family !! this is so beautiful and so kind! you deserve it!! You are well loved to receive these beautiful gifts from Dorthe! 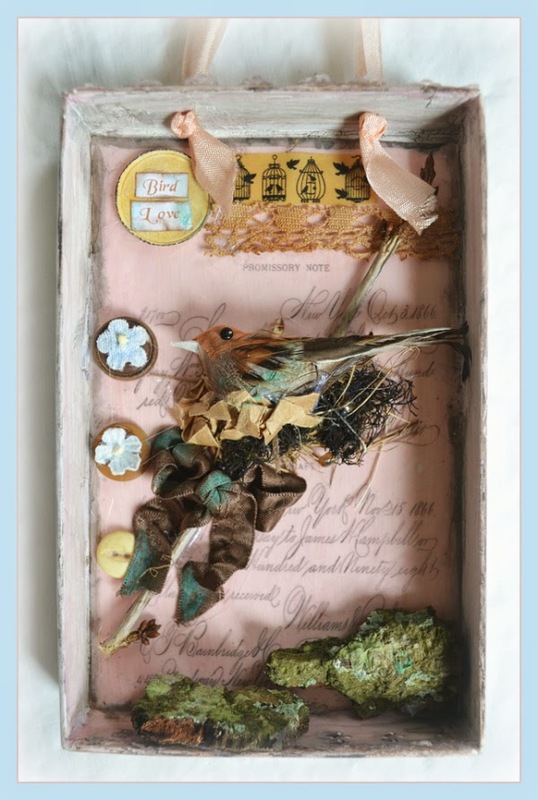 The bird collage is so very creative and clever. The sweet doll is gorgeous and in your favourite colors too along with the beautiful tag. I do hope your Easter Sunday was beautiful! I adore the gifts that Dorthe sent you, she always sends the most detailed pieces filled with beautiful nature objects! 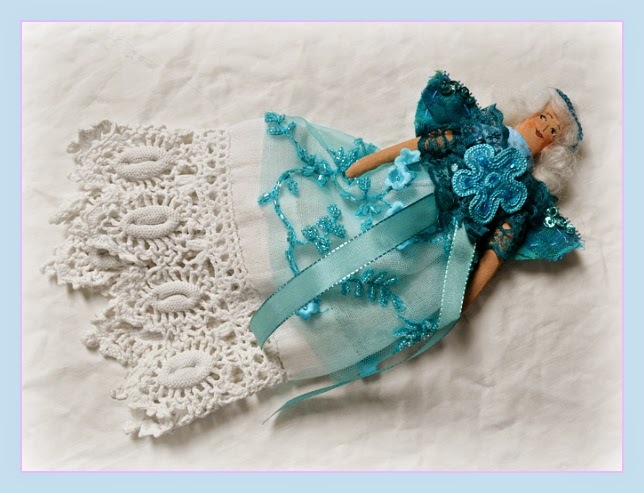 These are beautiful, and the doll is so lovely in blue with the lace! You will treasure these forever!